Let Nice Laundry rejuvenate your sock drawer with their extensive collection of designs and styles. Deadspin readers can customize a small box (6 socks for $59) and get 1 free pair with code DEADSPIN at checkout, plus free shipping. Nice Laundry helps you avoid ordinary dress socks and spruces up your collection from your overplayed black’s and grey’s. 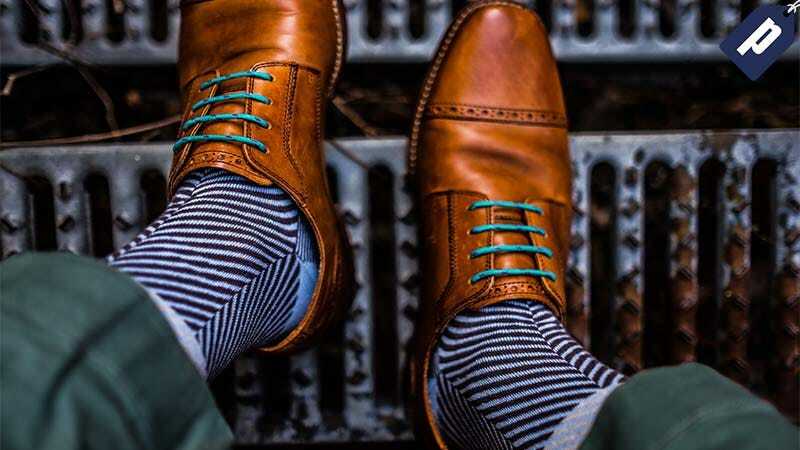 Their dress socks are made from a combination of cotton, nylon, and spandex, ensuring your socks hold up to every day wear. The small box allows you to choose 6 different pairs from over 100 styles of patterned, athletic, no show, and more adventurous styles, among others. If you’re stocked up on socks, select from three boxer brief options (black, gray, and blue) made from Lenzing Modal that’s light, cool, and breathable. Plus, Nice Laundry participates in a textile recycling program, where each order of socks is eligible for a pre-paid shipping label. Simply send any old pairs in the package your order came in. Build a small box of socks and receive one free pair when you enter in code DEADSPIN at checkout, plus free shipping.